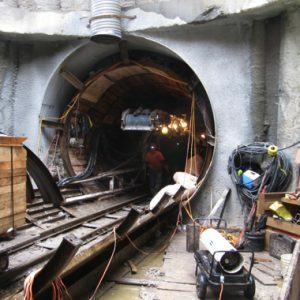 A leader in municipal and private site preparation, underground utility design, and development. Pamar Enterprises has been in the construction industry for half a decade. During this time we have learned the ins and outs of accurately designing and budgeting successful projects. We’re the best at delivering huge results for a reasonable budget while providing your business or municipality a great value. 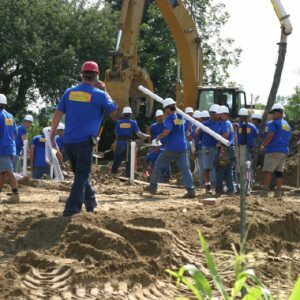 When a new building, home, subdivision, road, or other infrastructure project begins the project site needs to be precisely prepared. Our team regularly works on large projects using heavy machinery and GPS precision to perfectly grade a construction site. We also enjoy helping out individuals and small businesses with projects too. Pamar Enterprises excels in a myriad of areas, but where our clients say we stand out the most is in our ability to complete complex utility projects. 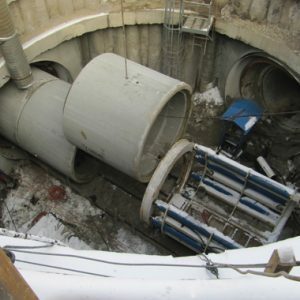 We regularly work to implement new utility pipelines but also do tricky improvements and maintenance that require complex tunneling, boring, shaft work, pump stations, PRV, water systems, pipe bursting and more. Pamar Enterprises is regularly working on road, bridge, and infrastructure projects. This runs the gamut; from private subdivision grading, sewer, utility, and road infrastructure to larger city, county, and state highway work. We can competitively design, budget, and implement routine to very complex projects. There will come a time where your city, county, state, or other municipality will require emergency utility or infrastructure work. This work requires a quick turnaround time and decades of experience to act quickly and safely to return services to residents. 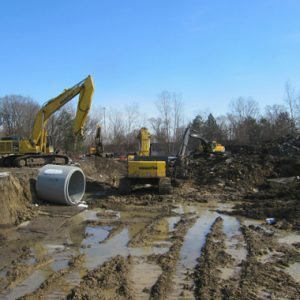 We are the go-to resource for many Michigan municipalities when they need a quick turnaround. Due to our many years of experience, we are often called upon to do some of the most complex specialty work. We have extensive experience working in deep, wet, difficult ground water. This type of work can quickly make a routine project treacherous. You can rest assured that we have the experience to overcome difficult obstacles. 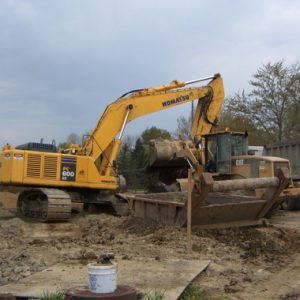 Many of our projects require a significant amount of excavation. 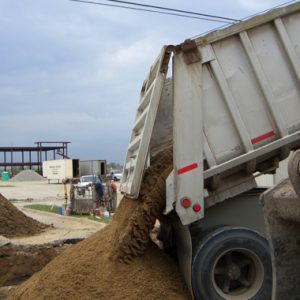 During this process our organization will haul and move countless truckloads of materials. A lot of this ends up back at our location and is broken up and sorted into different sizes and uses. This is available for sale to individuals and businesses to be utilized in their projects. 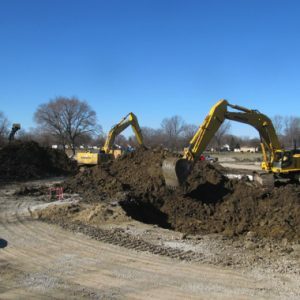 During the excavation process, our company will collect and sort a lot of high quality dirt. You are welcome to come by our location with your own truck or we’ll haul some out to your location. Give us a call for pricing. Tell us about your project and we’ll see how we can help. © 2019 Pamar Enterprises. All Rights Reserved.